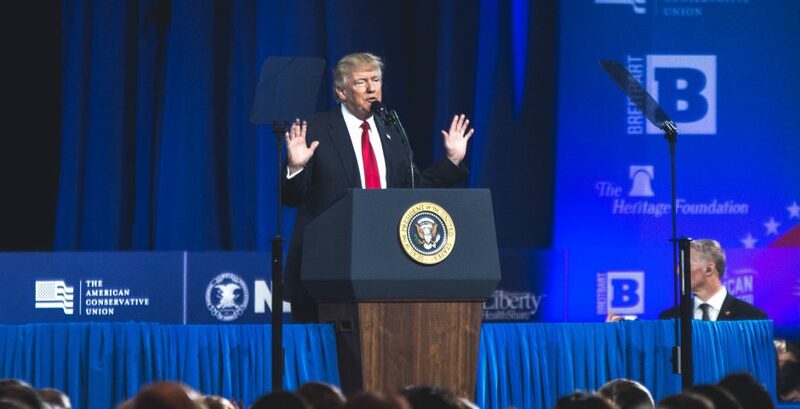 President Trump tells CPAC exactly what they want to hear - who cares about the truth? In a meandering 48-minute speech, he attacked the media, his predecessor and his defeated opponents. What else is new? Watching President Donald Trump whine and lie through his teeth is a spectacle enough on television, or when scrolling through your Twitter feed. But it’s nothing compared to seeing it in person, in among a roaring crowd of young right-wing activists, lobbyists and politicos, with their heads craned toward the stage, mouths agape, eager to swallow everything he spits at them. 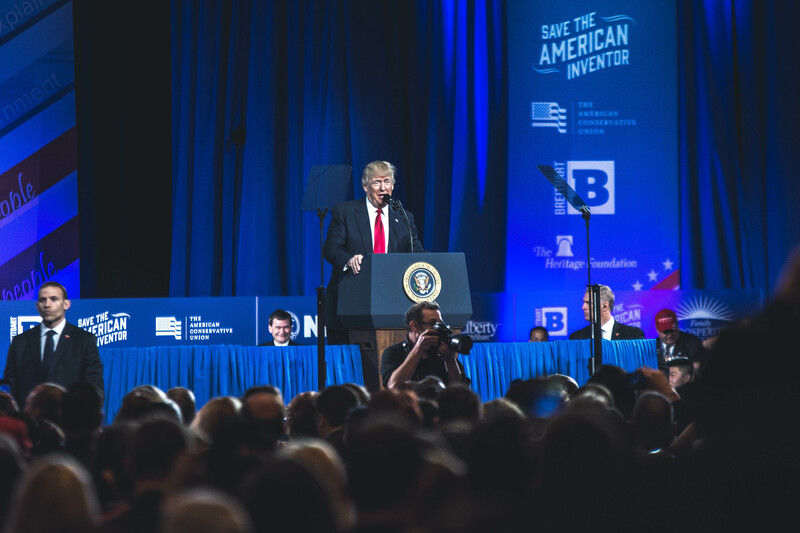 Donald Trump the Politician made his name on the CPAC stage five years ago, a fact he acknowledged in his brief thanks to the ACU chairman and his wife for their introduction. Once that was out of the way, he got down to the real business: lambasting the media, the auld enemy. The 45th President launched into an 11-minute tirade by telling the same joke about how “the dishonest media” would write about him “not getting a standing ovation” twice. This routine, and indeed much of the speech, was punctuated and drawn out by furious, rapturous applause. 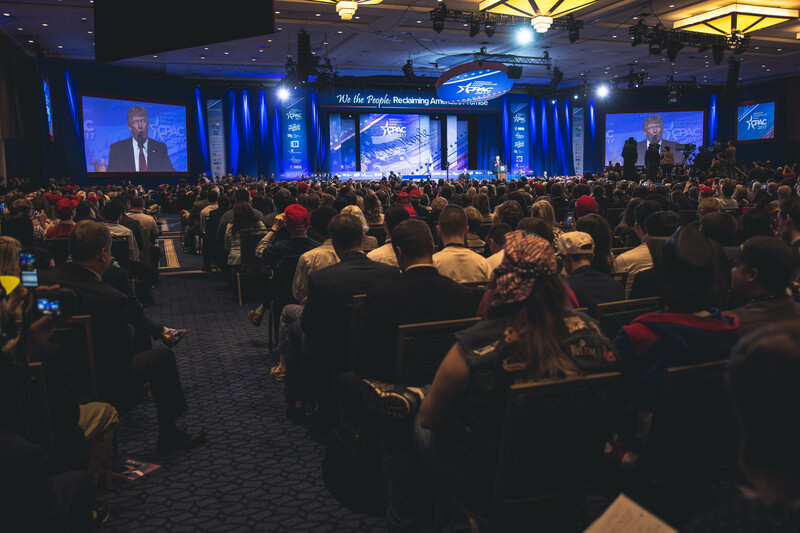 The CPAC audience, though on the face a nervous coalition between Trump die-hards and pragmatic traditional conservatives, were united in the reactions to the Donald’s button-pushing. And yet, minutes later, “I had a story written yesterday about me in Reuters by a very honorable man,” — the first of three “sources” in his speech he chose not to name. It was almost as though the President wished to present his truth as the credible alternative to the media. Surveying the room, he said: “this place is packed, there are lines that go back six blocks and I tell you that because you won’t read about it.” 15 minutes before this, my colleague and I were rushing out of our cab into the convention center. We walked straight in, untroubled by crowds — because there were none. There was no line at the entrance, no line at security, no line to enter the room itself. Another alternative fact. Despite this, and his many other inconsistencies, the crowd remained blinkered, laughing and clapping in unison. More sedate than the Republican National Convention he’d addressed in Cleveland in July, they did permit themselves a few choice outbursts. As he described his plans to increase military spending, a man to my right couldn’t contain himself. “NEW FIGHTER JETS!” he erupted, far too far back to be acknowledged. The most popular impromptu moment accompanied Trump’s first mention of the opponent he’d bested in the election. After reminding the audience that Hillary had called them “deplorable”, chants of “lock her up” rang through the convention center. They were gleefully picked up by a small circle of College Republicans in front of me: the red-cheeked, bow-tied, be-blazered young cons turned to each other, eyes wide, fists clenched and pumping. It was a harkening back to a not-so-distant campaign memory, and a frank reminder that, in his mind, Donald Trump is still on his victory lap.